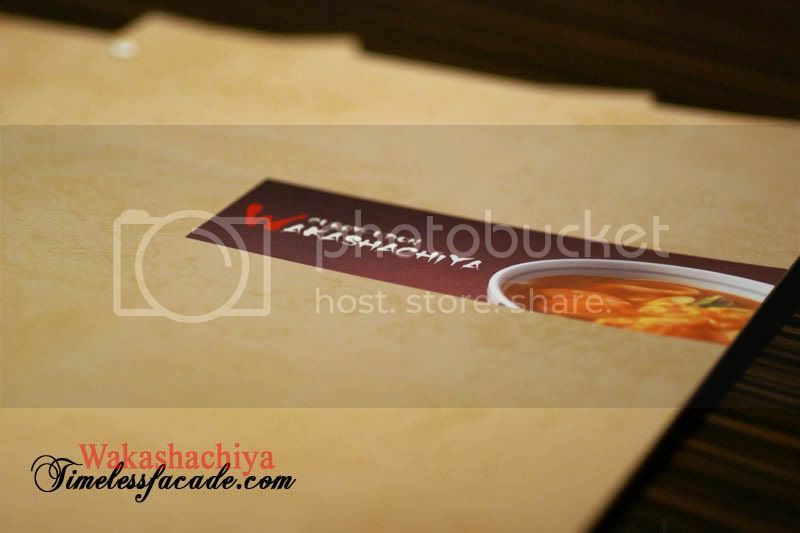 Had the opportunity to be part of the Gourmet Safari Tour hosted by SPH at The Central over the weekend. 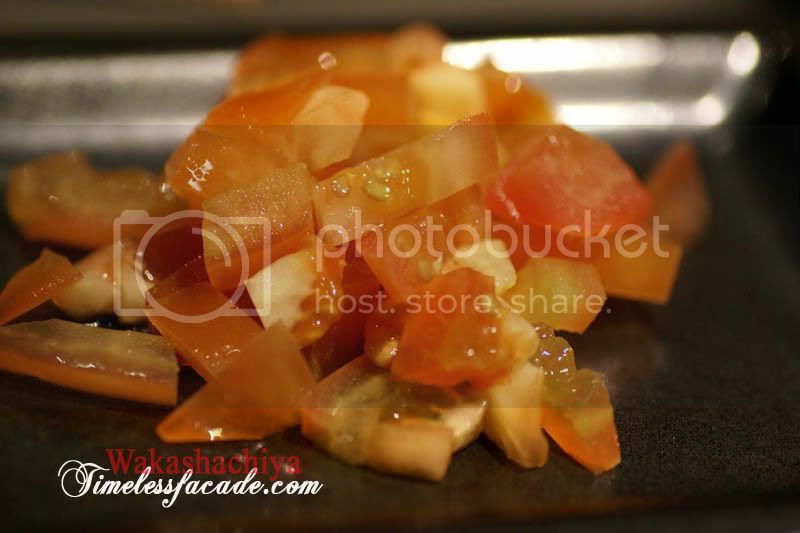 Together with Leslie from ieatishoot fame, we were ushered to 4 different Japanese restaurants within the mall to sample their various specialties, with Wakashachiya being the first stop. 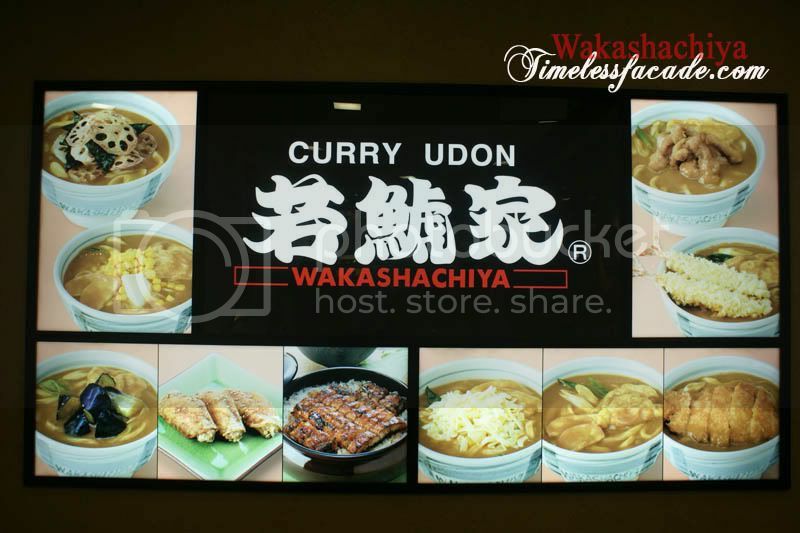 Located on the third floor of Central, Wakashachiya originates from Nagoya city and specialises in Japanese curry udon noodles. 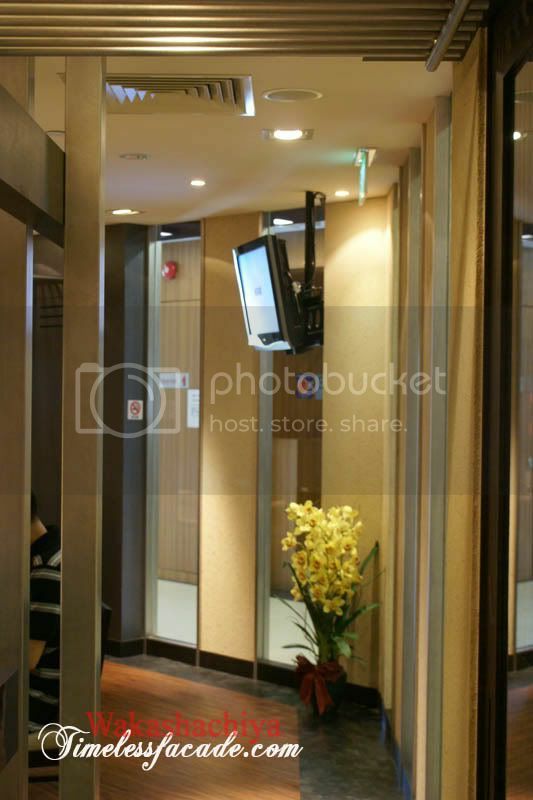 The paneled simply done up interior is smallish and can probably squeeze in about 30 pax or so. 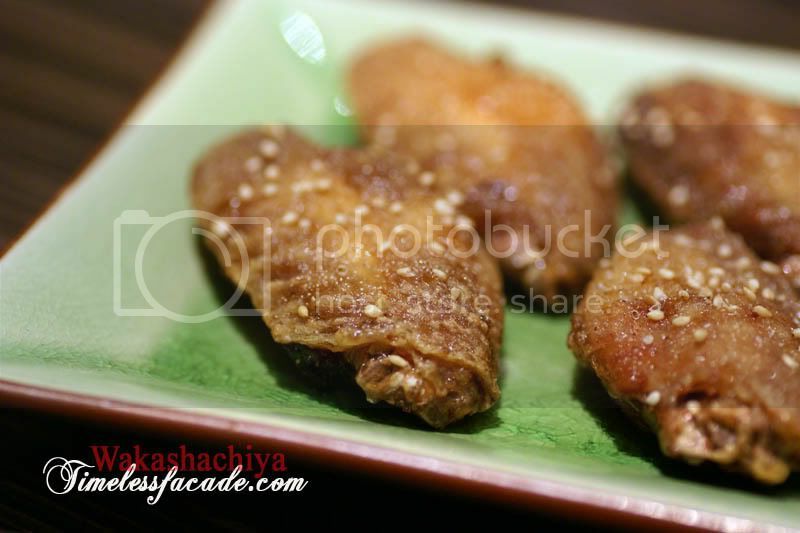 Nagoya city is well known for its Tebasaki, which is essentially deep fried batterless chicken wings with a coating of sweet and spicy sauce and sprinkled with sesame seeds and black pepper. 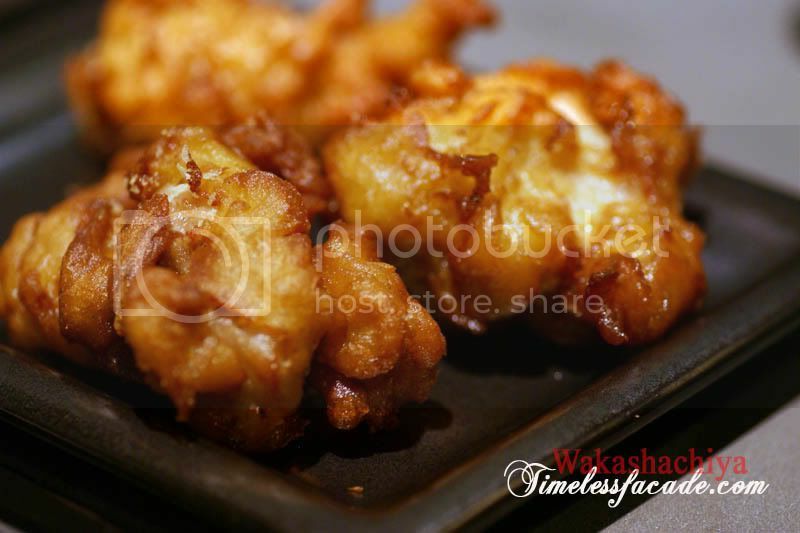 And being from Nagoya, Wakashachiya serves this delicacy as well. The wings, though small, packed a savoury punch from the myriad of different flavours all fused together. Sublimely sweet, salty and spicy. A pity the wings were so small and oily. Its $5 for 4 wings by the way. This dish was seriously a case of aesthetics over taste. 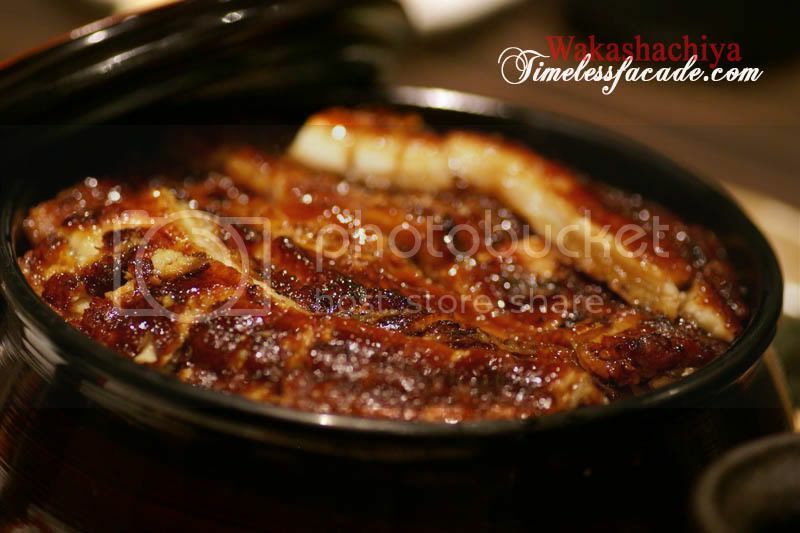 Served up in a huge pot lookalike container, the lid went off to reveal neatly sliced pieces of unagi, cooked to a beautiful crisp as evident by the charred bits on the shimmery surface. However taste wise, I personally felt that it could have been better. For one, the unagi was too soft and disintegrated easily, lacking the firm and crisp texture that I personally like. The daishi soup (fish stock made from bonito flakes) and the plump chewy rice was good though. The dish that Wakashachiya apparently is known for - Japanese curry udon. 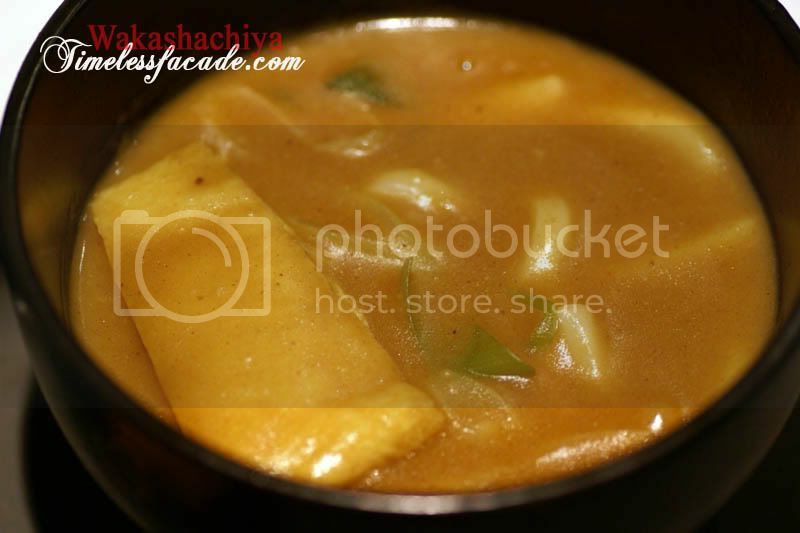 Wakashachiya's curry tended towards the bland side and didn't seem coagulated enough for my liking. The udon was good though, thick and chewy without making me feel like I'm chomping down on flour. 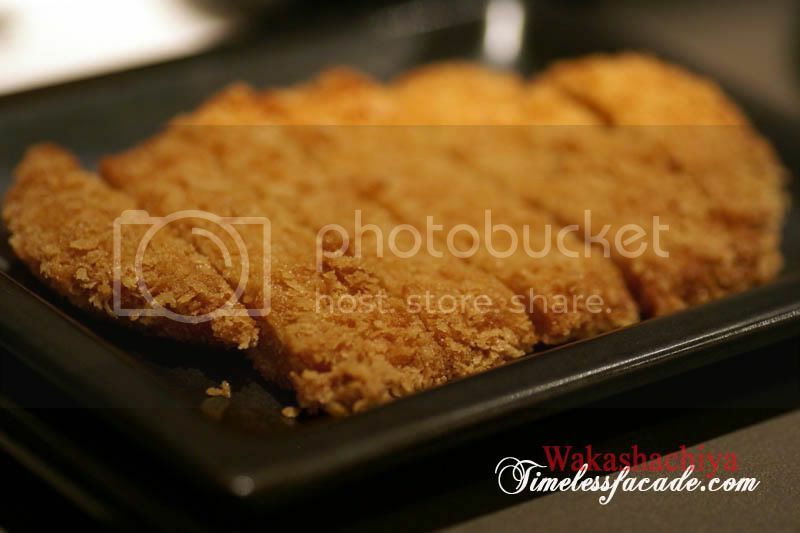 Some work needs to be done on the sides though, with the Tonkatsu coming across as hard and dry while the batter encrusting the chicken was overly salty and oily. 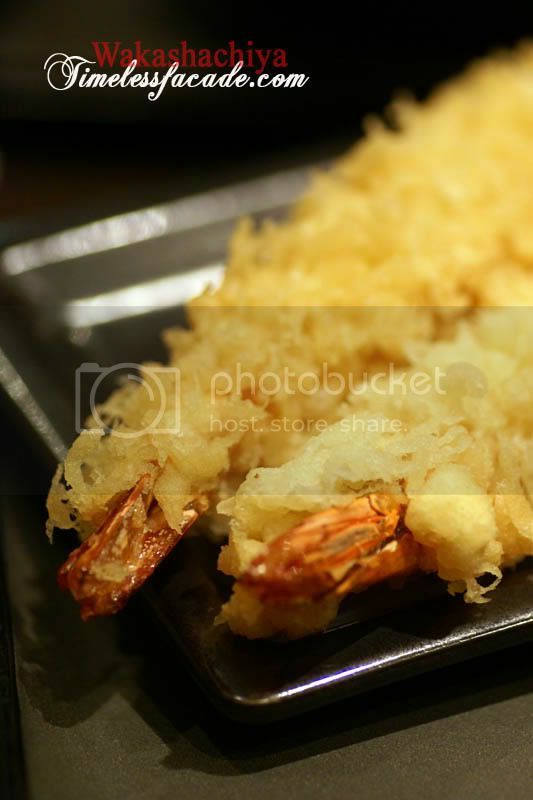 Same goes for the ebi tempura, with the batter leaning towards the thick side. The tomatoes were, well, just diced fresh tomatoes.